What are they and how do they promote your home business? Success in home business comes from offering a quality product or service to a target market. It sounds easy enough, but many new home business owners are often inconsistent and ineffective in their marketing because they don't understand things like the marketing mix and how the 5 P's of marketing work together to find your market and entice them to buy. Product: What products or services do you provide? Be specific. What are the physical attributes of the product or the details of the services you provide? Explain the features of your products and services and how they specifically benefit your market. Also, include how you differ from what your competitors provide.Understanding how your product solves your market's problem in a way that is different from your competition is crucial. Price: What are you charging for your product or service? It needs to be enough to cover your expenses and make a profit, and yet fit with what the market is willing to pay for the quality of product and level of service you provide. Place: Where are your products and services sold? How are your products and services distributed? How will you get them to your customers and clients? For example, are they digital goods sold online and delivered through an autoresponder system? Or you do you use a third-party such as Amazon's fulfillment program? Promotion: What methods are you going to use to let potential customers and clients know about your products and services? To do this, you need to understand your market, including where it can be found and how you can create marketing messages that it will respond to. Hint: pointing out how your product will solve the market's problem (#!) is the starting point. People: Who is helping you in your business? The people and services that you use in your business can impact your success. If your salespeople or virtual assistant is rude, you'll lose customers and clients. If your product or service delivery systems fall short (i.e. the digital product isn't delivered), you'll have complaints. Customers have a choice in who to do business with and they prefer companies that provide easy-to-use systems, offer customer service when needed, and are attentive and responsive to their needs. Happy customers will become repeat customers and will refer new business. By following the 5Ps you can ensure you're effectively reaching your market and providing the products and services they need. The better you understand and target your market, the less time and expense you expend in reaching them. Especially for small, single-person business, you don't want to waste time or money on shotgun approaches to marketing. The 5Ps will help you focus on what you need to do in marketing, and also, give you clues when things aren't working. For example, if sales are sluggish, you can consider if your price is too high or perhaps your order system unclear. 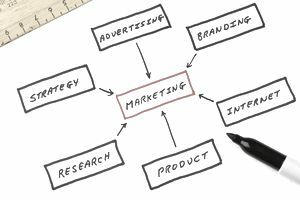 The 5Ps of the marketing mix are all part of your bigger business and marketing plans. These tasks might seem boring and tedious but are necessary to help you focus your activities, and better understand and reach your market. And like other aspects of your business and marketing plan, the 5Ps aren't static. They change and evolve with market needs. For example, technological advancements may require you change how you promote your business, which we have seen in the growth of social media as a new promotion method. Or maybe your market changes. For many years, my work-at-home website's largest market was moms. Today, 18 years later, the market is older, with over 50% of them over the age of 45. Because the 5Ps are dynamic, you'll want to conduct activities that help you stay focused on what's working and what's not. Some resources that can help you include studying your website stats and analytics, surveying your customers for feedback, and testing the continued efficiency and effectiveness of your sales and delivery systems.